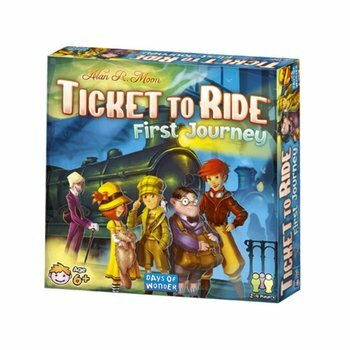 Easy to learn and quick to play. 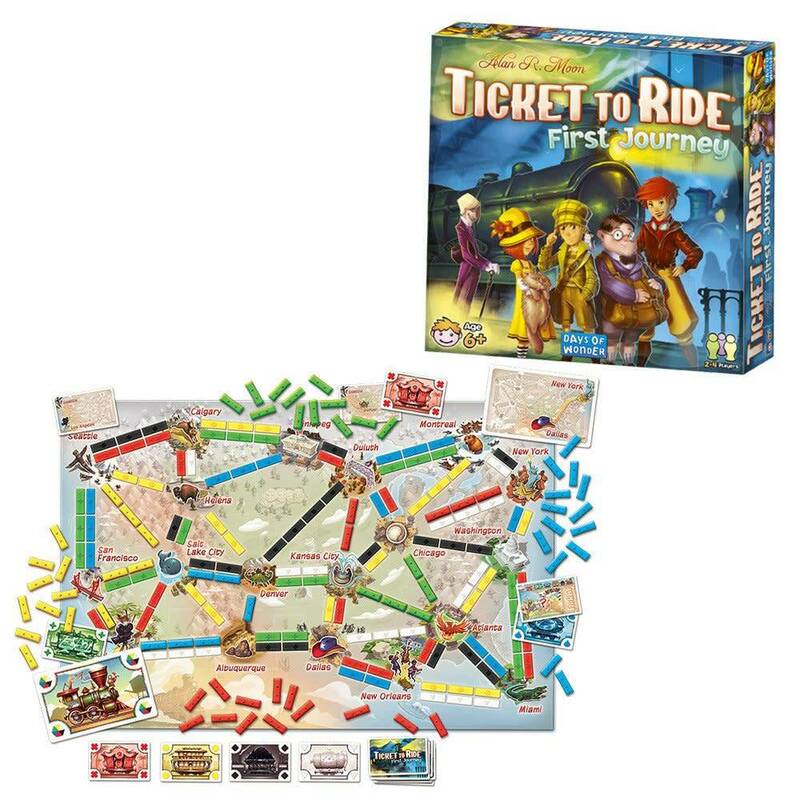 Ticket to Ride: First Journey is the perfect introduction to the Ticket to Ride series. 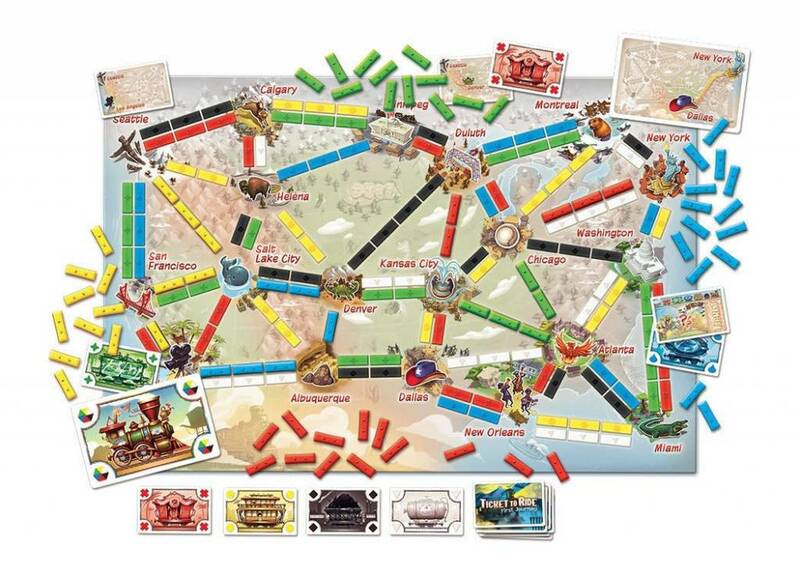 Players collect train cards, claim routes on the map, and try to connect the cities shown on their tickets to achieve victory. So climb aboard and embark on your very own railway adventure!